World No. 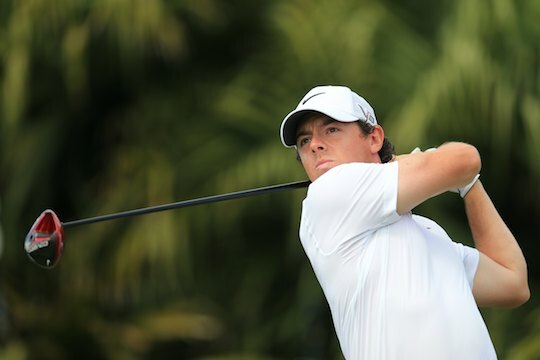 2 Rory McIlroy has strongly defended his decision to contest this week’s Valero Texas Open in San Antonio. Three-time Masters winner, Phil Mickelson suggested last week in Houston that playing this week on the tight TPC San Antonio was not the ideal preparation for Augusta National. However McIlroy, who has played just a dozen completed rounds of golf this year, could not disagree more. “I don’t care if I miss 10 cuts in a row if I win a major a year,” he said. “I don’t care. I mean, that’s what it’s all about is winning the big tournaments. Of course, it’s not going to be great for your confidence going into the Majors if you’re missing 10 cuts in a row. “But when people look back on a person’s career, you don’t say Jack Nicklaus was so inconsistent. You could say he finished 19 times second in the majors. But what you think more is that he won 18 Majors. “That’s what people remember. People remember the wins. And triple Major winning Padraig Harrington, who is also competing this week in San Antonio, also has backed his fellow Irishman. “If you think Rory’s trying to regain his stroke, well he won the last Major we played so that says he’s a man in current form,” said Harrington. “All Rory has to worry about is peaking the right weeks and his game is pretty good enough as he’s shown when he does peak, he laps the field. McIlroy will play the opening two rounds in the company of Americans Jordan Spieth and Matt Kuchar teeing up on day one from the 10th tee at 8am (local time).